If you’re interested in a career where you can make the lives of everyone around you better and work as part of a team in the healthcare system, the Personal Support Worker program at CDI College is for you. Personal Support Workers are a vital part of the healthcare system in Canada. In this program, you will learn how to improve the quality of life of your patients, including assisting with their physical, emotional, and mental well-being. You will also learn how to assist clients with personal hygiene, their mobility needs, getting proper nutrition, creating a care plan, helping with medications and cognitive issues, as well as identifying and reporting elder abuse. You'll also receive your Standard First Aid Certificate and CPR Certificate before going out on your practicum. The Personal Support Worker program gives you focused, relevant training to help you excel in various care environments. If you need flexibility, part-time and evening study may be available at our Mississauga, North York, and Scarborough campuses. The final stage of the program are two practicum placements, totaling 310 hours over eight weeks, with one at a community organization, and the second at a care facility. These work placements ensure you’ll be job-ready and prepared to move into your new career as a personal support worker. The PSWs ability to assist a client with medication is essential in supporting client independence or in supporting a family caregiver to attend to tasks or take needed respite. Students gain basic knowledge of the drugs used in the treatment of common diseases and disorders, including drug classification, use, therapeutic effects, side/adverse effects, brand/generic names, dosage forms, routes of administration, and directions for use of these medications. Students will identify purposes of medication, required instruction/information about medications to be administered, and cautions with regard to medications. Students will develop and demonstrate skill in reading and interpreting information on prescription containers and demonstrate assistance with oral/topical medications, as well as eye, ear, and nose drops. The importance of observation for both desired and undesired outcomes and procedures to be followed in the event of concern about or problems with medications will be discussed. PSWs are able to provide specific assistance with medications (oral, topical, eye, nose or ear drops) to the client, in keeping with the directions stated in the client care/support plan, and under the direction and monitoring of an appropriate person, whether health professional, caregiver, or family member. It is understood that this assistance is provided on the basis of case-by-case instruction by the appropriate person and cannot be generalized among clients or between support workers. Support of various types is the main function of the PSW. Yet, support is more than providing help — it relies on a number of factors, not the least of which are skill and sensitivity. Optimal support refers to the ability to provide sufficient support to assist clients to do what they wish without inhibiting them. This module builds on the materials presented in the introductory module PSW Fundamentals. It identifies the support to be provided and the significance of the support to the client, and of the need for the support. Supporting the client to relearn/regain routine abilities and issues of the rights of the client as a receiver of support will be presented. The care plan or service contract is the framework within which the worker provides support to the client. The worker must know the purpose of planning, the ways in which planning is done, and the persons who are involved, including client, support workers, caregivers, and professionals. s members of the support team, PSWs will learn about implementing parts of the care plan and communicating information accurately and without judgment. These activities are conducted in accordance with employer guidelines (agency or client). Students will also be introduced to working in the community health care environment, providing support to patients and families in communities, including Individual Homes and Retirement Homes, Long-Term Care Facilities, Acute Care Settings and Acquired Brain Injury Programs. Personal Support Workers recognize that behaviours or changes in behaviour can be related to illness or other conditions such as cognitive impairment, brain injury, substance abuse or mental illness. They use approaches and techniques to assist clients with these changes or conditions in keeping with the care/support plan and report observations to the appropriate team member. They also identify factors that can increase the risk of suicide, and recognize signs of possible suicidal behaviour. This module introduces students to common psychiatric conditions (affective disorders and schizophrenia), substance abuse, cognitive impairment, and brain injuries. The possibility of multiple conditions such as Alzheimer’s disease and depression will be discussed. The role of the family caregiver as well as the importance of observation, documentation, and reporting will be reviewed. In this module, students discuss the concept of dying as a part of life and the possible impact of life-threatening illness on the person and their family. Students will also examine personal beliefs about life-threatening illness, dying, and the provision of support to the dying person and their family and friends. Assisting the dying person to maintain a desired lifestyle and respecting their right to make decisions with regard to support are also discussed. Specific approaches within the scope of the support worker to reduce discomfort or pain within the context of a plan of support/care are covered. Care of the person at the time of death, care of the body after death, as well as any procedures that must be followed are discussed. PSWs must have the knowledge, skill, and sensitivity to provide appropriate assistance to another person, since a significant number of clients for whom they provide service have disabilities that affect their ability to look after their personal hygiene. The Personal Support Worker will assist clients with all activities or routines of daily living. These tasks include bathing, grooming, mobility considerations, toileting, and skin care. This module will consider caring for the ill, disabled, injured, and/or a confused client. Frailness, dignity and levels of dependence will be considered. Personal hygiene involves personal safety, self-esteem, and dignity considerations. Knowledge about the structure, function, ageing changes, and common conditions of the skin is reinforced in this module. Personal care measures around the clock will be considered. A focus on humanistic health care will build the foundation of this module. Oral care, perineal care, infection control, bathing techniques, grooming, dressing, bed making, shaving, hair care, skin care, and much more will be covered in this unit. As the result of an ongoing condition, many clients will require the assistance of another person in order to accomplish routine activities of living. Although PSWs are not expected to make functional assessments, they do require an understanding of the effects of disability, disease, or condition on functioning in order to provide appropriate assistance. As partners in a support or care team (along with the client and others), PSWs need to understand why, what, when, and how maintenance, rehabilitation, and restorative care are used to benefit the client. They will likely assist the client in a variety of activities, and must be able to interpret and carry out the instructions of clients and professionals involved with the client so the client receives the maximum benefit from their assistance. This module introduces students to basic concepts of assistance as well as the general effects on the person of common disabilities, ongoing conditions, and diseases. Focusing on the importance of providing support safely, effectively, and comfortably, students will gain skill in necessary techniques. Concepts of maintenance, rehabilitation, and restoration are discussed, as is the importance of the support team in providing assistance. Activities will be discussed that require additional training, who is responsible for providing the training, and transferability of these additional skills. Clinical placement provides students with an opportunity to practice their new skills in a work setting. While on placement, students gain experience in a wider range of PSW skills, become more self-confident, and in some cases receive offers of employment from the placement site. In this module, the students will spend time working in a community setting under the supervision of a preceptor provided by the host site. The instructor will be available by phone and email at all times during the placement. Students must meet the hour requirements and have a satisfactory rating with no critical deficiencies in all placement activities to pass the program. Clinical placement provides students with an opportunity to practice their new skills in a work setting. While on placement, students gain experience in a wider range of PSW skills, become more self-confident, and in some cases receive offers of employment from the placement site. In this module, the students will spend time working in a facility setting under the supervision of their instructor and under a preceptor provided by the host site for additional hours. The instructor will be available by phone and email at all times during the preceptor-supervised portion of the placement. Students must meet the hour requirements and have a satisfactory rating with no critical deficiencies in all placement activities to pass the program. 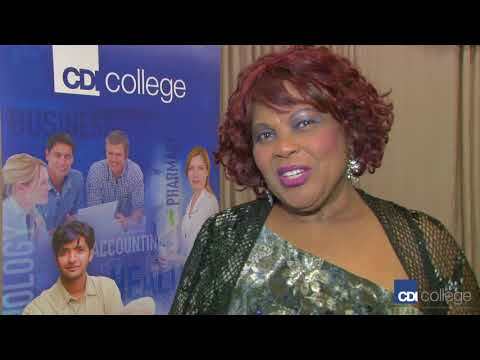 Sonia retired after a successful career as a registered nurse but wanted to re-enter the workforce, so she took the Personal Support Worker program at CDI College and is now working in her new field!